Our sumps are crafted one at a time to ensure quality and precision of each item we produce. 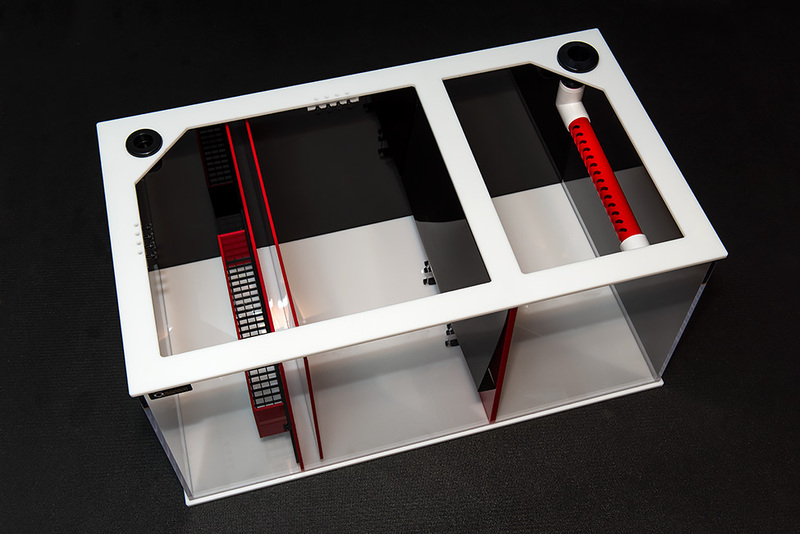 We utilize the best domestic cell cast acrylic in construction of our sumps to ensure both beauty and strength. All our products are 100% made in the USA from the raw materials to fabrication. With over 14 years of experience crafting filtration system, we have the experience to design and fabricate the perfect custom sump for your system. It doesn't matter if your system is 10 or 6000 gallons we have built sumps for them all so give us a call and we will design something just for you.